A cleaning moisturizer, rejuvenator, and toning agent all in one. Your face goes through so much! Pollutants attack from all sides, whether it’s from your makeup, the air, or the sun. 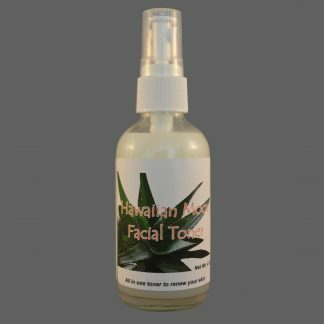 How can you remove makeup, dead cells and all the rest of the pollutants that clog your pores? 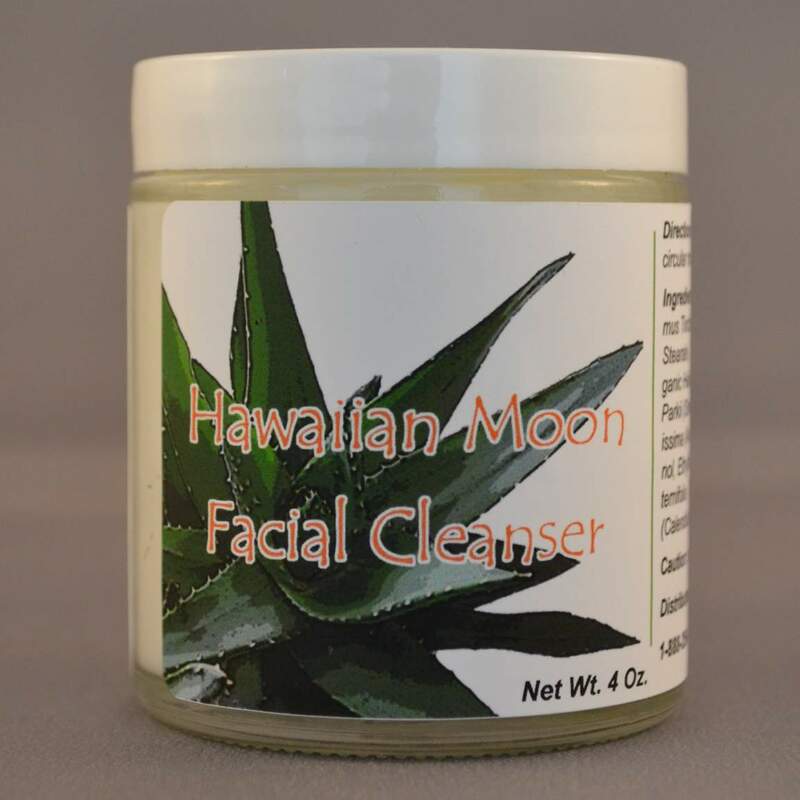 Use our Hawaiian Moon Facial Cleanser. Our cleanser is a moisturizer, rejuvenator, and toning agent all in one. Our cleanser will leave your skin feeling soft and supple, with a new firmness to it. 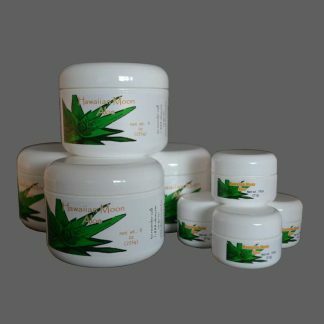 It contains a winning combination of Organic Barbadensis Aloe, Sunflower Oil, Beeswax, Olive Oil, Avocado Oil, Kokum Butter and Jojoba oil for moisturizing. This is a 4oz jar of Hawaiian Moon Facial Cleanser. Our cleanser is creamy and a non-foaming cleanser. Using about a quarter sized or smaller amount on a cloth (alternatively, you can user your fingertips), wipe onto your skin in gentle, circular motions. Rinse everything off using warm water or a damp towel. Our cleanser is excellent for removing makeup. Nourish, balance your skin, and skin tone. Serums and creme absorption is enhanced with use of this product. Save! 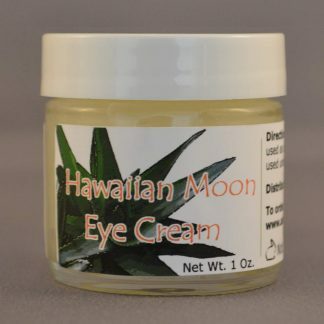 Family pack special – Four 9oz Hawaiian Moon Aloe skin cream jars with four free .75oz bonus jars. Fades sun spots and discoloration, refines skin texture and reduces wrinkle formation as well as minimizing existing wrinkles.